Please read these terms and conditions carefully; This is a legal agreement between you and Infoblox. Customer” refers to you, the individual or entity registering, purchasing and/or using the Product. If the Product is being purchased, registered or used on behalf of an entity by a representative authorized to register or use the Product on behalf of such entity, then “Customer” also refers to such entity. “Products” mean the Infoblox products registered by Customer and all Infoblox products specified in a purchase order issued by Customer and accepted by Infoblox (each a “Purchase Order”). All Purchase Orders are binding non-cancelable commitments. Infoblox may modify or discontinue Product offerings without notice provided that any outstanding Purchase Orders shall not be affected. Customer shall pay to Infoblox the amounts set forth on each Purchase Order. All payments due hereunder to Infoblox shall be paid to Infoblox in US dollars within 30 days following date of invoice. Any amounts not paid when due shall bear interest at a rate of 1.5% per month or the legal maximum, whichever is less. All Product shipments are delivered F.O.B. Origin (Infoblox’s manufacturing facility). Infoblox may fill orders by full or partial shipment. Infoblox will inform Customer of estimated shipment dates, however Infoblox shall not be responsible delays beyond its reasonable control. Title to (except with respect to Software) and risk of loss pass to Customer upon placement with the carrier for shipment. In addition to the price, Customer shall be responsible for and pay all (a) transportation charges, including without limitation shipping and insurance charges, and (b) sales, use, value added, excise and other taxes and governmental charges imposed with respect to Products and services provided by Infoblox, except for taxes based on the net income of Infoblox. These charges will be listed as separate line items or invoiced separately. Prices for Products shall be as set forth on Infoblox’s then current price list for Customer’s region. Infoblox reserves the right to increase prices annually and/or change the current pricing and fees from time to time, declaring percentage uplifts prior to start of the new financial year, unless Infoblox provides Customer notice of different pricing at least 60 days prior to the applicable renewal term. Except as expressly provided in a Customer or Authorized Source Purchase Order, renewal of promotional or one-time priced subscriptions will be at Infoblox applicable list price in effect at the time of the applicable renewal. Notwithstanding anything to the contrary, any renewal in which subscription volume for any Services has decreased from the prior term will result in re-pricing at renewal without regard to the prior term’s per-unit pricing. All software and firmware incorporated into or provided for use in or with a Product (whether initially, as part of support or otherwise) (“Software”) is not sold, but rather is licensed solely for Customer’s internal operation in object code form (i) on the Product hardware platform provided by Infoblox, or if indicated in the Product specifications, on a third party platform authorized by Infoblox for the number of copies for which licenses are purchased as set forth in the applicable purchase order, and (ii) in accordance with the applicable capacity and other use limitations, if any, set forth on the applicable purchase order and strictly in accordance with the documentation. Such license is perpetual unless a term license is stated on the applicable purchase order. The license is non-exclusive, non-transferable and does not include the right to (and Customer will not directly or indirectly) extract, transfer, modify, decompile, disassemble, reverse engineer (except to the extent applicable law prohibits reverse engineering restrictions), incorporate or use in any other works, create derivatives of, or copy any portion of the Software. Customer’s internal operation includes operation on behalf of Customer by Customer’s corporate affiliates and service providers, provided such affiliates and service providers are under obligations of confidentiality and Customer remains responsible for compliance with these terms. Except for the license above, Infoblox retains all right, title and interest relating to the Software and any intellectual property resulting from services; no other licenses express or implied are granted. Customer will not remove any names, designations or notices from any Product. The Software constitutes confidential and trade secret information of Infoblox and shall not be disclosed to any third party. Any references to “sale” or “purchase” in this Agreement shall be interpreted in accordance with this Section 3. 4. Limited Warranty for End Users Receiving Support Services Directly from Infoblox. THE WARRANTY AND RELATED TERMS SET FORTH IN THIS SECTION 4 APPLY ONLY TO END USERS THAT RECEIVE SUPPORT SERVICES DIRECTLY FROM INFOBLOX; IF CUSTOMER RECEIVES SUPPORT SERVICES THROUGH AN INFOBLOX PARTNER (DISTRIBUTOR/RESELLER), THIS WARRANTY DOES NOT APPLY AND CUSTOMER MUST LOOK SOLELY TO THE DISTRIBUTOR OR RESELLER FROM WHOM CUSTOMER PURCHASED PRODUCTS FOR WARRANTY TERMS AND SERVICE. Infoblox warrants to Customer that the Products when shipped to Customer will materially conform to Infoblox’s published specifications applicable to the Product (“Limited Warranty”). Customer may make a claim for breach of this Limited Warranty (i) at any time prior to 1 year after the date of shipment by Infoblox with respect to Product hardware and (ii) at any time prior to 90 days following the date of shipment by Infoblox with respect to Product software whether or not embedded (each a “Limited Warranty Period”), after which time the Limited Warranty shall be deemed expired and void. For each claim of breach of the Limited Warranty which is received by Infoblox during the applicable Limited Warranty Period for the Product, Infoblox will, at Infoblox’s option and as Customer’s exclusive remedy: (1) repair the defective Product hardware or software, as applicable, (2) replace the defective Product hardware or software with comparable Product hardware or software, as applicable, or (3) refund the amount paid for the defective Product hardware or software, as applicable, upon its return. All warranty claims are subject to the warranty service process set forth in Exhibit A. Infoblox will not have any other obligations under the Limited Warranty. The warranty does not apply to Product units that have been (i) mishandled or damaged by failure to provide an suitable installation or operating environment, (ii) used, maintained or stored other than in conformity with documentation and instruction provided by Infoblox, (iii) subjected to physical damage, neglect or the elements, (iv) damaged by third party software, equipment or viruses or (v) opened or serviced by anyone other than Infoblox or an authorized service provider. Replacement Products and parts used to repair Products will be new or serviceably used, comparable in function and performance to the original part or Product, and warranted for the remainder of the original Limited Warranty Period or 30 days from the date of shipment of the repaired or replacement Products, whichever is longer. Purchasing additional parts or Products from Infoblox does not extend this warranty period. EXCEPT FOR THE LIMITED WARRANTY IN SECTION 4 APPLICABLE ONLY TO CUSTOMERS THAT RECEIVE SUPPORT SERVICES DIRECTLY FROM INFOBLOX, INFOBLOX AND ITS SUPPLIERS EXPRESSLY DISCLAIM ALL WARRANTIES, EXPRESS OR IMPLIED, WITH RESPECT TO THE PRODUCTS, SOFTWARE AND SERVICES, INCLUDING, BUT NOT LIMITED TO, WARRANTIES OF MERCHANTABILITY, FITNESS FOR ANY PARTICULAR PURPOSE AND NONINFRINGEMENT, AND ANY CONDITIONS ARISING OUT OF COURSE OF DEALING OR USAGE OF TRADE. Infoblox has not authorized any party to make any representation, warranty or obligations on behalf of Infoblox. In no event does Infoblox warrant that the Products, Software or related services are error free or will operate without problems or interruptions. Infoblox shall defend and indemnify Customer and its officers, directors, agents and employees against liability to third parties resulting from infringement by the Products of any trade secret, copyright, or patent issued as of the date of this Agreement, provided Infoblox is promptly notified of any and all threats, claims and proceedings related thereto and given reasonable assistance and the opportunity to assume sole control over the defense and settlement; Infoblox will not be responsible for any settlement it does not approve in writing. If Infoblox reasonably believes that a Product may be the subject of a claim of infringement, Infoblox may (a) modify or replace the Product provided the Product or replacement is functionally equivalent, or (b) refund the unamortized value of the affected Product based upon a straight line 5 year depreciation and receive a return of the affected Product. The foregoing obligation of Infoblox does not apply with respect to Product or portions or components: (i) not supplied by Infoblox, (ii) made in whole or in part in accordance to Customer specifications or requests, (iii) which are modified after shipment, if the alleged infringement relates to such modification, (iv) combined, processed or used with other products, processes or materials where the alleged infringement relates to such combination, process or use, or (v) where Customer continues allegedly infringing activity after being notified thereof or after being provided with modifications that would have avoided the alleged infringement. This Section 6 sets forth Customer’s exclusive remedies with respect to claims of infringement. Either party may terminate an unperformed Purchase Order if the other party materially breaches any material provision of this Agreement and such breach is not remedied within 60 days (or 10 days in the case of non-payment) after receipt by the defaulting party of a notice thereof from the other party, the non-breaching party may immediately terminate this Agreement. Sections 2, 3, 5 through 10, 14, and any accrued rights to payments and remedies for breach shall survive any termination of this Agreement. Neither party shall incur any liability whatsoever for any damage, loss or expenses of any kind suffered or incurred by the other (or for any compensation to the other) arising from or incident to any termination by such party which complies with the terms of the Agreement whether or not such party is aware of any such damage, loss or expenses. If a Product is provided to any unit or agency of the United States Government (“U.S. Government”), the following provisions shall apply: All software and accompanying documentation are deemed to be “commercial computer software” and “commercial computer software documentation,” respectively, pursuant to DFAR Section 227.7202 and FAR Section 12.212, as applicable. Any use, modification, reproduction, release, performance, display or disclosure of the software and accompanying documentation by the U.S. Government shall be governed solely by the terms of this Agreement and shall be prohibited except to the extent expressly permitted by the terms herein. TO THE EXTENT PERMITTED BY APPLICABLE LAW, INFOBLOX AND ITS SUPPLIERS WILL NOT BE LIABLE WITH RESPECT TO ANY SUBJECT MATTER OF THIS AGREEMENT UNDER ANY CONTRACT, NEGLIGENCE, STRICT LIABILITY OR OTHER LEGAL OR EQUITABLE THEORY FOR (I) ANY AMOUNTS IN EXCESS OF THE FEES RECEIVED BY INFOBLOX OR (II) ANY SPECIAL, INCIDENTAL, CONSEQUENTIAL OR OTHER INDIRECT DAMAGES, OR (III) COST OF PROCUREMENT OF SUBSTITUTE GOODS, TECHNOLOGY OR SERVICES, OR (IV) INTERRUPTION OF USE OR LOSS OR CORRUPTION OF DATA OR ACCESS. THE FOREGOING LIMITATIONS WILL SURVIVE AND APPLY EVEN IF ANY LIMITED REMEDY SPECIFIED IN THIS AGREEMENT IS FOUND TO HAVE FAILED OF ITS ESSENTIAL PURPOSE. INFOBLOX SHALL HAVE NO LIABILITY FOR ANY FAILURE OR DELAY DUE TO MATTERS BEYOND ITS REASONABLE CONTROL. Customer shall comply with all export laws and restrictions and regulations of the U.S. government. Without limiting the foregoing, Customer shall comply with the U.S. Foreign Corrupt Practices Act (including, without limitation, not offering any inducement related to Products, whether money or goods or services, to any government official, employee, candidate or party) and all corresponding laws, restrictions, and regulations of any foreign agency or authority. Customer shall not export, or allow the export or re-export of any Product in violation of any such restrictions, laws or regulations. Customer shall obtain and bear all expenses relating to any necessary licenses and/or exemptions with respect to the export from the U.S.
Infoblox Support services available for purchase by end users are described at https://www.infoblox.com/company/legal/terms-premium-maintenance. Infoblox may, in its discretion, update and change support services offered; such updates and modifications shall be effective with respect to subsequent renewals and new Product purchases. Subject to Customer’s compliance with all terms of this Agreement and annual advance payment of Infoblox’s then standard support fees, Infoblox will provide the support set forth in a Purchase Order. If purchased by Customer, the first annual support period begins upon the date of Product shipment to Customer. Customer may purchase Infoblox professional services including implementation and training services for Products. Infoblox agrees to provide the professional services described in a Purchase Order at the rates set forth in such Purchase Order; Infoblox may also require execution of a statement of work for some professional services. If not paid in advance, Infoblox will invoice Customer for professional services as they are performed. 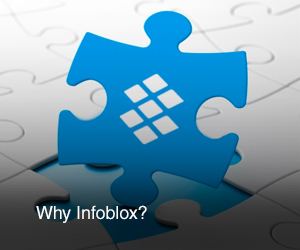 Infoblox may make available subscription services intended for use with Products and that can be accessed and/or administered through the Product interface. Descriptions of subscription services and specific terms related to each subscription services are available at https://www.infoblox.com/company/legal/subscription-services-dnsfw and https://www.infoblox.com/company/legal/infoblox-cloud-services-platform-terms-and-conditions. The start date for all subscription services will be the date on which Infoblox sends notice to Customer that the subscription services are available for activation by Customer and provides any necessary license codes. Subscription services will continue for the period purchased by Customer. Prior to the end of the subscription services period purchased, Infoblox will notify Customer. If Customer does not purchase an additional period of subscription services, then Infoblox may terminate the subscription services upon expiration of the period purchased. All notices under this Agreement shall be in writing, and shall be sent by international overnight courier or prepaid certified or registered U.S. mail. Neither party may assign, transfer, or sublicense any obligation or benefit under this Agreement without the written consent of the other party and any attempt to do so shall be void; provided, however, that either party may assign this Agreement without consent to a corporate affiliate or to an acquirer of the business unit making use of the Products, or of all or substantially all of the party’s equity, assets or business. The failure of either party to enforce its rights under this Agreement at any time for any period shall not be construed as a waiver of such rights. This Agreement constitutes the entire agreement between the parties and supersedes all proposals, oral or written, all negotiations, conversations, or discussions between or among parties relating to the subject matter of this Agreement and all past dealing or industry custom. Customer acknowledges that current purchasing decisions are not being made based on reliance on the timeframes or specifics outlined in any statements, demonstrations or presentations, and if Infoblox delays or never introduces future products, features or enhancements, Customer’s current purchasing decisions would not be affected. No changes or modifications or waivers are to be made to this Agreement unless evidenced in writing and signed for and on behalf of both parties. In the event that any provision of this Agreement shall be determined to be illegal or unenforceable, that provision will be limited or eliminated to the minimum extent necessary so that this Agreement shall otherwise remain in full force and effect and enforceable. This Agreement shall be governed by and construed in accordance with the laws of the State of California (without regard to the conflicts of laws provisions thereof or the UN Convention on the International Sale of Goods). In any action or proceeding to enforce rights under this Agreement, the prevailing party will be entitled to recover costs and attorneys fees. THE WARRANTY SERVICES SET FORTH BELOW APPLY ONLY TO INFOBLOX END USERS THAT RECEIVE SUPPORT SERVICES DIRECTLY FROM INFOBLOX; IF CUSTOMER RECEIVES SUPPORT SERVICES FROM AN INFOBLOX PARTNER (DISTRIBUTOR/RESELLER), THESE WARRANTY PROCEDURES DO NOT APPLY AND CUSTOMER MUST LOOK SOLELY TO THE DISTRIBUTOR OR RESELLER FROM WHOM CUSTOMER PURCHASED PRODUCTS FOR WARRANTY TERMS AND SERVICE. 1. Warranty Requests If Customer believes an Infoblox product purchased by Customer is subject to a Material Defect covered by warranty, Customer may contact Infoblox’s Technical Assistance Center (“TAC”) by logging into the Infoblox Support Website or by telephone. TAC services are available from 6:00 a.m. to 6:00 p.m. Pacific time, Monday through Friday, excluding Infoblox holidays. Infoblox will use reasonable efforts to respond to requests for support from authorized personnel within one business day. Any telephone services that may be provided by Infoblox hereunder will be limited to that necessary to confirm Material Defects in the applicable Products. In the event customer has not contracted with Infoblox for receipt of BloxCare Maintenance and Support, all additional support services requested shall be subject to Infoblox’s then prevailing rates. 2. Software Updates For a period of 90 days after shipment by Infoblox, Infoblox shall provide Updates for the Software that are generally released by Infoblox during such period. Warranty services do not include Upgrades; Customer must purchase support in order to receive Upgrades or to receive Updates after the 90 day warranty period. 3. Access to Web Support. For a period of 90 days after shipment by Infoblox, Customer may access the self-service web portal at support.infoblox.com for Product installation and configuration assistance. 4. Replacement/Repair of Product Hardware For a period of one year after shipment by Infoblox, Infoblox shall provide replacement of Infoblox product hardware subject to a Material Defect. In order to obtain the relevant warranty service with respect to Product hardware containing Material Defects, customer shall return such Infoblox Products to Infoblox in accordance with the following Return Materials Authorization (“RMA”) procedure. Before return or replacement of any Product, Customer must contact Infoblox’s TAC as described above. If Infoblox’s TAC verifies that the Product is likely to be defective and is covered by warranty support, Infoblox will issue a RMA number, which allows the Customer to return the defective unit to Infoblox for repair or replacement. Customer must deliver the defective Product to Infoblox with the RMA number on the package. Infoblox will not accept any shipment of returned Infoblox Product, which does not have a valid RMA number issued to Customer pursuant to such RMA procedure. Customer assumes the risk of damage or loss in transit. Customer must use the original container (or the equivalent) and pay the shipping charge. Infoblox will provide Customer with the shipping address at the time of RMA issuance. It is Customer’s responsibility to remove all confidential and proprietary data and information before returning Products to Infoblox; Infoblox shall have no obligations or liability with regard to data and information contained in returned Products. In connection with replacement, Infoblox may at its sole discretion modify the replacement unit at no cost to Customer to improve its reliability or performance. If Infoblox reasonably and in good faith determines that the returned Product hardware did not contain the alleged defect, Customer shall pay and/or reimburse Infoblox for all costs of handling, transportation and diagnostics at Infoblox’s prevailing rates. 5. Definitions “Material Defect” means (A) with respect to Infoblox product hardware, any reported malfunction, error or other defect that: (i) can be reproduced by customer and/or Infoblox, and (ii) constitutes a material failure of such hardware to perform in accordance with applicable Specifications, and (B) with respect to software, means (i) a material failure of such software to perform in accordance with applicable Specifications. “Specifications” means Infoblox’s published specifications applicable to the products that are in effect as of the date the products are shipped to Customer, as such specifications may be updated, modified or revised by Infoblox. “Updates” means a Software release, if and when available, consisting of error corrections and patches, in object code form, which is made generally available by Infoblox to its support recipients without additional charge, and is generally indicated by a change in the digit to the right of the release number (e.g., a change from version 6.1r2 to 6.1r3) and any corrections and updates to the associated documentation. “Upgrades” means a Software release, if and when available, containing new enhancements, features or functionality, in object code form to application software, which is made generally available by Infoblox to its support recipients without additional charge and generally indicated by a change in the feature release number to the right or left of the decimal point (e.g., a change from version 3.2r1 to 3.3r1) and the associated documentation.